A Chicago self-titled LP signed by Robert Lamm, Keith Howland, Jason Scheff, Tris Imboden, Lee loughnan, Bill Champlin, Walter Parazaide and James Pankow of Chicago. Album is included. Album cover in good condition. Comes with a Certificate of Authenticity. According to Billboard chart statistics, Chicago is second only to the Beach Boys as the most successful American rock band of all time, in terms of both albums and singles. If such statements of fact surprise, that's because Chicago has been singularly underrated since the beginning of its long career, both because of its musical ambitions and because of its refusal to emphasize celebrity over the music. The result has been that fundamentalist rock critics have consistently failed to appreciate its music and that its media profile has always been low. At the same time, however, Chicago has succeeded in the ways it intended to. From the beginning of its emergence as a national act, it has been able to fill arenas with satisfied fans. And beyond the impressive sales and chart statistics, its music has endured, played constantly on the radio and instantly familiar to tens of millions. 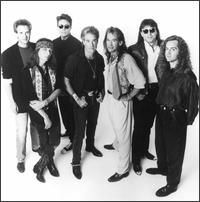 When, in 2002, Chicago's biggest hits were assembled together on the two-disc set The Very Best of Chicago: Only the Beginning and the album debuted in the Top 50, giving the band the distinction of having had chart albums in five consecutive decades, the music industry and some music journalists may have been startled. But the fans who had been supporting Chicago for over 30 years were not. ~ William Ruhlmann, All Music Guide.